The Senior Legacy Program introduces students to the importance of giving to Hollins through volunteerism and philanthropy. Senior Legacy committee members volunteer their time and talent to increase awareness among their classmates about the Hollins Fund. Senior Legacy gifts to the Hollins Fund not only support the Hollins experience but also foster a spirit of giving back among the senior class. Interested in joining the Senior Legacy Committee? Please email Uma Casey for more information. 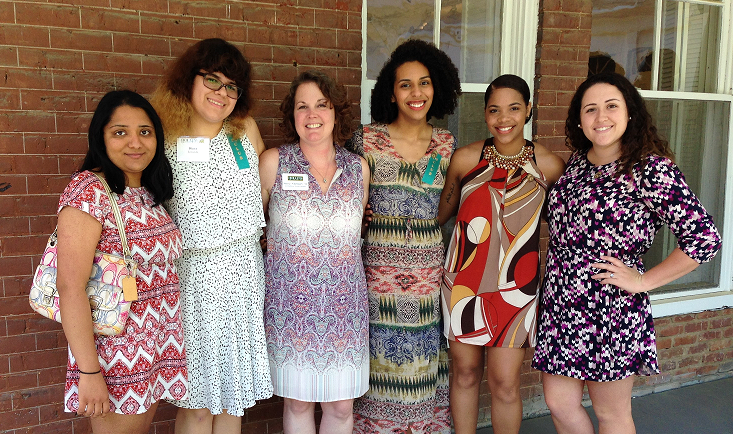 The senior class will be celebrated and welcomed into the Hollins Alumnae Association. The Senior Legacy gift will be announced. Be a leader – become a member of Miss Matty’s Circle! Seniors can join Miss Matty’s Circle with a Senior Legacy gift of just $75! Members receive the same benefits as The 1842 Society at reduced giving amounts. Make a gift of any size every year to be a member of The Marian Wolff Young Society! You can establish monthly, quarterly, or annual ONGOING gifts with your credit or debit card. Your card will continue to be charged on the monthly, quarterly, or annual option that you choose until Hollins receives notification to stop charges or the credit or debit card becomes inactive. You can establish monthly, quarterly, or annual gifts for up to 5 years with your credit or debit card. You can choose any number of months, quarters, or years up to the 5 year limit. Your card will continue to be charged on the option that you choose until the completion of your pledge, Hollins receives notification to stop charges, or the credit or debit card becomes inactive.